Over the past few years, the facilities management industry has seen a lot of change, not only in terms of the technologies now available but more importantly in how we are perceived as an industry. No longer is facilities seen as the “fixer upper” department; it’s now viewed more along the lines of the “protector of assets,” responsible for upkeeping the face of the brand. Maintaining its locations properly is crucial to ensure its company’s Brand Uptime. Now more than ever, customer experience has become one of the key drivers of sales. And facilities managers are tasked with ensuring a great experience that will keep the customer coming back, all while saving money. With this new focus, our industry has risen to the challenge and it is great to see the positive change that results from it. I recently had the pleasure and honor of speaking at two shows, Building Operations Management NFMT 2015 (National Facilities Management & Technology conference in Baltimore) and Chain Store Age’s SPECS 2015 (Store Planning, Equipment, Construction and Facilities Services event in Las Vegas). At both shows, I spoke about the role of data and insights in our space and how it’s transforming the facilities management business. Not only did both shows have a high turnout and pull great crowds but what excited me most was the enthusiasm around the discussions and sessions about data and the technologies that leveraged it. No longer do facilities managers rely on just gut instincts. Analytics and business intelligence are changing the way we make decisions. According to Forrester research, most organizations find themselves using only 12% of their data, and I am sure most would agree that insights from even that data is hard to get your hands on in a format or timeline that can be meaningful. Now however, with advanced FM and Service Automation software like computerized maintenance management systems (CMMS) that incorporate business intelligence within their core offering, limited access to data and resulting insight is a thing of the past. Predictive Analytics – When will it happen? While historically, most organizations and teams are used to Descriptive Analytics, with today’s business intelligence tools, digging into your data and going through the data discovery process has never been easier. The more we understand our data, the more insights we will gather and the higher chance of success we will have with developing predictive models to prepare for the future as well as have better decision support. We don’t think we should stop here though. Let’s look beyond just facilities management data and try to understand how it relates to the world around us. How about understanding the correlations or causations between our data and weather? How about geographic and demographic data? 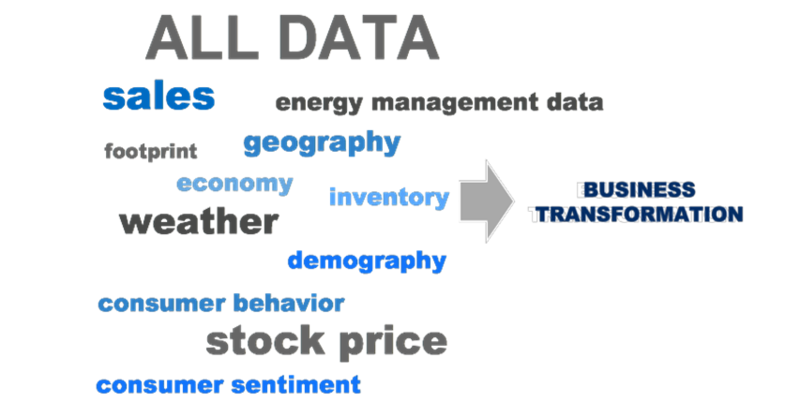 What about gas prices, consumer behavior and sentiment, energy prices and management, or economic indicators? We are just scratching the surface; the future is full of possibilities. With advances in Service Automation technology, the FM industry is changing and becoming more sophisticated and data hungry every day. This was inevitable and it’s happening – now. We see it and we couldn’t be more excited to be part of it.